In June 2016, I participated in the Road Scholar Photography Tour of Iceland. Over 10-days, we explored the southern one-third of this stunningly beautiful island country. 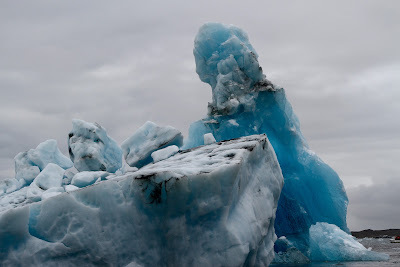 We started the tour at the Blue Lagoon, traveled east along the rugged coastline, past magnificent waterfalls, glacier fields, iceberg lagoon and black sand beaches. We turned north into the central highlands into multi-colored mountains, an active volcano and rift valley. The tour ended in the capital city of Reykjavik, one of the nicest small cities in the world. There is a separate blog post for Reykjavik following this album. The tour was very well organized and we stayed in some unique hotels. The Eldhestar, a ranch hotel noted for its beautiful Icelandic horses was really special. The two tour leaders, Eric and Petur, created an itinerary that captured the essence of "The Land of Fire and Ice" - both in its beauty and culture. 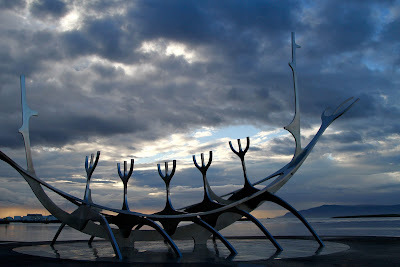 Reykjavik, the capital city, was the last stop of our 10 day tour of Iceland. We spent 2 1/2 days here and being a very small city, it was enough time to see most of the city's high points if you are a fast walker. The total population of Iceland is only 321,000 and greater Reykjavik makes up half of it. I would unequivocally say, Reykjavik is the nicest small city I visited in all my travels. The city has a world-class performing arts theater, several small but excellent museums, a hip and vibrant downtown core with a burgeoning high-rise district, nice residential neighborhoods, beautiful parks and bike paths, and a working waterfront. Although small, the city has a big city feel without any of the big city drawbacks. The city is clean, green and tidy. Iceland has one of the lowest crime rates in the world with only one homicide recorded last year. Iceland is being discovered by the world with tourism growing 20% annually since 2010. NYC was the first stop on my way to Iceland. It's been more than 25 years since my last visit to the Big Apple and a lot of cool stuff have occured that I wanted to see. 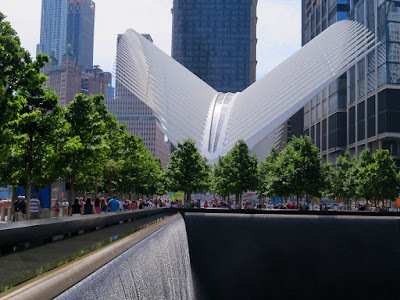 High on my list were the new Whitney Museum of American Art, High Line Park, Museum of Modern Art, Barclay Center and Brooklyn, WTC and the 9/11 Museum, and of course, a few Broadway shows. There's been several new cutting-edge buildings designed by some of the world's "starchitects" that I wanted to see. I also wanted to walk across the Brooklyn Bridge and see Storm King Art Center (see separate blog post following this one). Well folks, Mission Accomplished! I was able to see everything on my check list plus a few other surprises I wasn't aware of. I spent 10 fabulous days in NYC and some friends from Sactown (Peter, Susan, Tom and Lisa) joined me on this leg. A big shout out to Tom - "Jersey Boy"- who grew up in the area and showed us some of his favorite places and eateries. Storm King Art Center is located approximately 70 miles north of NYC in the Hudson River Valley. 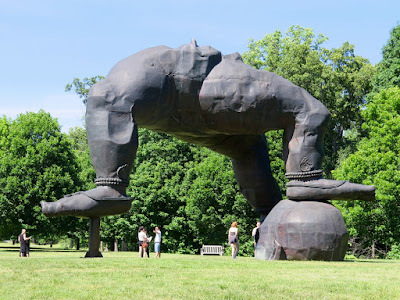 Storm King is recognized as one of the premier outdoor sculpture parks in the world with over 100 monumental pieces displayed on 500 rolling acres of the Appalachian Mountains. The Art Center was established in 1960 by Ralph E. Ogden and his son-in-law, H. Peter Stern with the intention of creating a center for the visual arts and music. The Center takes its name from Storm King Mountain, a majestic nearby peak. Visiting Storm King has been on my bucket list for quite a long time. My 10-day visit to NYC allowed me the time to take a day-trip to the Art Center. Tom and Lisa joined me on a remarkable visit to this amazing sculpture garden. With a near normal snowpack in the Central Sierra this year, the waterfalls in Yosemite National Park are flowing with great gusto once again. It's been four years since this has happened. 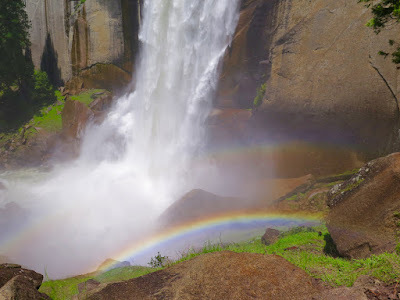 Who knows what the future holds for precipitation, so if you are a waterfall enthusiast, it was high time to high tail it down to Yosemite. I joined a hiking buddy, Surjit Dhillon, on a 3-day impromptu trip to Yosemite after the Memorial Weekend to check out the waterfalls. A highlight of the trip was an 8 mile RT hike on the John Muir and Mist Trails which does a circuit of Vernal and Nevada Falls ascending and descending approximately 2,000'. We also took in heady views of the valley from Glacier Point and Tunnel Viewpoint, and a drive to Olmsted Point and Lake Tenaya on Tioga Pass Road. 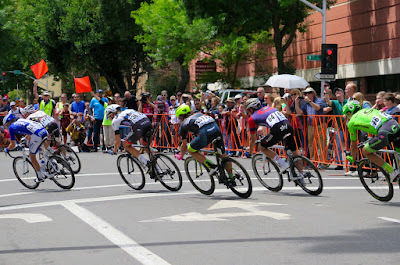 The 8th and final stage of the Tour of CA ended in Sacramento after traveling south to north from San Diego. The 8 stage, 700 mile route took in the southern CA mountains, the central coast, the mountains of Lake Tahoe and foothills of Folsom, the Sonoma coast before ending in Sacramento. Stage 8 was won by Mark Cavendish, Team Dimension Data. Peter Sagan, Team Tinkoff and Alexander Kristoff, Team Katusha, came in 2nd and 3rd respectively. Julian Alaphilippe, Team Etixx-Quick Step, won the GC with Rohan Dennis and Brent Bookwalter, both of Team BMC, in 2nd and 3rd place respectively. The 4th and final stage of the women's race was won by Kristen Wild, Team HPU. Lisa Brennauer, Team LPR, and Marriane Vos, Team RBW, took 2nd and 3rd respectively. 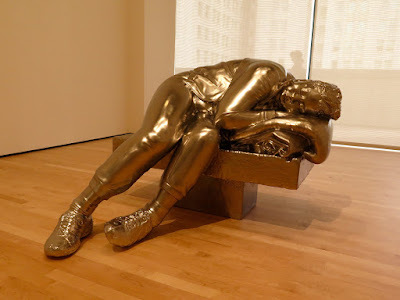 It's been multiple decades since I visited the San Francisco Museum of Modern Art (SFMOMA). In the 1980's, I used to have the "out of town" membership to the museum and would visit frequently. The years passed and my activities moved on to other things but my interest in contemporary art has been rekindled with the expansion and decided to renew my membership. SFMOMA officially reopens to the public on May 14th but as a member, one is entitled to a member's only preview before the grand opening. We went on the 2nd day of the pre-view period and nearly had the museum to ourselves. I invited Eric Saur to join me on a pre-view excursion to The City and we took my favorite means of traveling to the Bay Area - by public transit - the Capitol Corridor Train and BART. We took the train to the Richmond Station and transferred to BART which zipped us within two blocks of MOMA at the Montgomery Street Station. Brief history of SFMOMA: The museum was established in 1935 and in its first 60 years occupied the 4th floor of the War Memorial Veterans Building at the Civic Center on Van Ness Ave. It was the first institution on the West Coast devoted solely to 20th Century art. In 1995, a new 50,000 s.f. museum building with its iconic striped cylinder and step-backed stone facade designed by Mario Botta opened across the street from the Yerba Buena Gardens. In 2013, the museum closed for 2 1/2 years for a 235,000 s.f. expansion. The seven-story addition was designed by the Norwegian architectural firm of SNOHETTA.